“The idea that you have to search for an artwork via a series of false starts and jettisoned trials. I thought maybe something could be made of the confusion and the missteps that occupy so much of the working day. My starting point for these works was the idea of found painterly gestures. I was interested in looking for a kind of pure, unconscious gesture, in places like the white-washed windows of closed shops, and smudged inkjet signs for missing pets – everyday stuff. Like many other artists I compiled a bunch of photos on my phone and then set about rearranging elements on the computer, building compositions to translate the material into something new in the studio. Anyone who has worked this way will know that the options are infinite, and it doesn’t take long to become lost in a bog of ‘save as’. 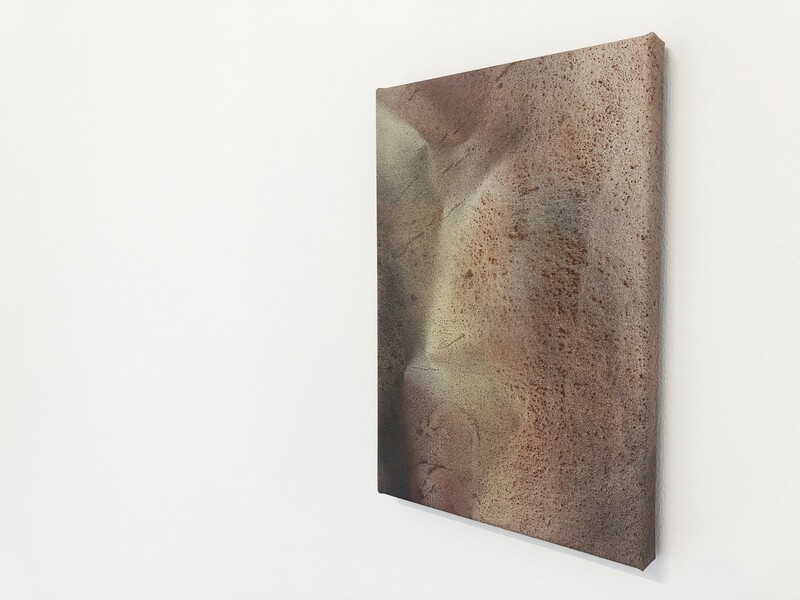 The exhibition will launch with a Private View and an Artist’s Talk, in which McDevitt will discuss his response to the brief on Wednesday 15th March 6-9pm. 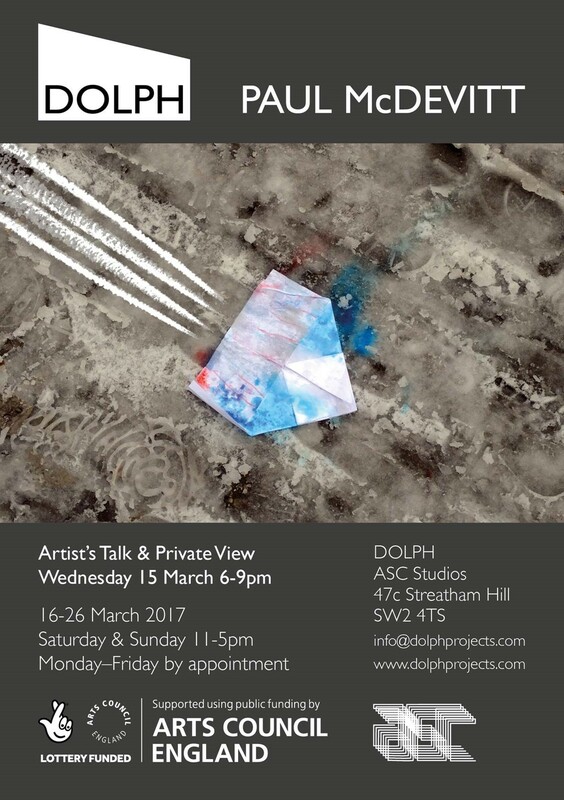 Please visit www.dolphprojects.com to see the full programme and images of past shows.